Croft was funded over four hundred years ago. The first signs of activity date back to the16th century when the company was established by Henry Thompson, in the year of 1588. The Croft family joined the business in 1736 and played a prominent role in the Port Wine industry, leading Croft to the prime position that still holds today. 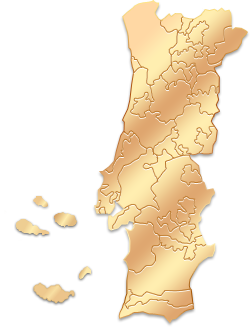 Croft reputation as a producer of Vintage Port wine is largely due to the fact of being the owner of Quinta da Roêda (one of the best properties in the Douro Valley) and its legendary wines. The Vintage Croft 1945 wine is still considered as one of the best of that historic year. With over four hundred centuries of history, Croft keeps innovating and launched in 2008, the Croft PINK - the first pink Port wine in the world! The Croft cellars are open all year and offer one of the most genuine and traditional tours to the Port wine world. You can have tastings and many other experiences, which stand out due to their educational nature that shows the versatility of Port wine. Offers a friendly store where you will find the entire portfolio of Croft Ports and an expert tea. It is the perfect place on sunny days for a fresh and irreverent Croft PINK and a delicious raspberry truffle. The warmth of the fireplace and the charm of the room invite for a break to enjoy the unique flavours of Port wine in winter time. The Croft Cellars are located in Barão de Forrester Street, just a 6 minutes’ walk from the Cais de Gaia. Public Transports: STCP - 901, STCP - 906, STCP - 900, STCP - 10M. "I liked the mix between chocolate and wine. That was really exquisit. The chocolates were great and the wine as well." "Loved the Croft's Cave tour. Staff were fantastic and our tour guide (sorry we don't know his name!) was so passionate and taught us so much in a short space of time. We loved our experience! We felt very welcome and the Port wines that we were served were delicious! We had a blind taste test at the end and it was so much fun! Thank you Crofts!" Una Bodega de gran interés que produce algunos de los mejores vinos de Oporto que conozco. Monumental y con más de cuatro siglos. Hoy en día, como en el pasado, sigue siendo un espíritu pionero, sin dejar de crear estilos innovadores, tales como Croft Rosa. Esto sí que és vida, beber buen vino. "Very well informed tour, and good information about the tasting of the port wine. We expected the tour to be longer than it was, but this is not a problem"
"A must do in Porto ! The main lounge is very authentic and cosy. The Porto are very tasteful. Then you'll visit the cave where huge gallons of Porto are stored and aged. The guide was very instructive and kind. Will definitely come back if in Porto again." "The representative was very attentive and helpful in accommodating us for the wine tour, it was a very nice experience." 2013 -Vintage Croft 2011 is one of the best of this year and was awarded 97 points (out of 100 possible) by Wine Spectator magazine. 2013 - Received the Certificate of Excellence Tripadvisor. 2013 - Fulfilling the tradition, Croft announced the decision of declaring "Vintage" wine, on the 23th of April, St. Georges' day. 2012 - Received the Certificate of Excellence Tripadvisor. 2005 - Croft Visitor Centre won the national award of the prestigious contest "Best of Wine Tourism" organized by the Network of Great Wine Capitals in the category Art and Culture.